Crowdfunding has been gaining popularity, largely due to the fact that it helps the developers to achieve their dreams to develop a new product, and for the consumers who chipped in, they stand to get a high-quality product, or even receive some investment revenue, at the end of the production. 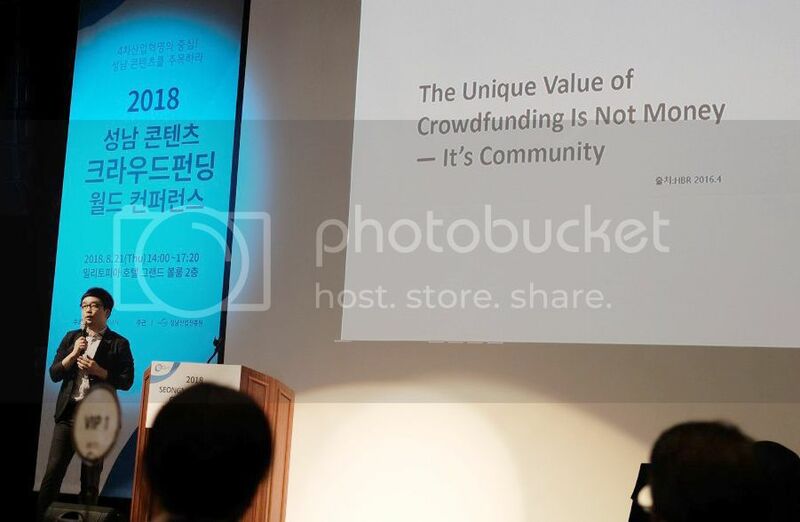 We recently attended the 2018 Seongnam Contents Crowdfunding World Conference held in Seoul. 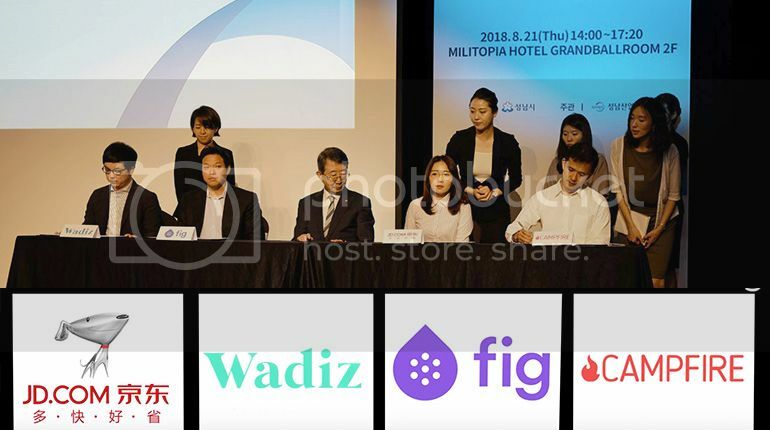 Hosted by Seongnam and run by the Seongnam Industry Promotion Agency, it was held on the 21st of August in the Seongnam Militopia Hotel grand ballroom and lobby. This is an event to strengthen the capacity of businesses with potential, and startups and small and medium-sized venture companies with creative ideas will be given more opportunities to expand their businesses. 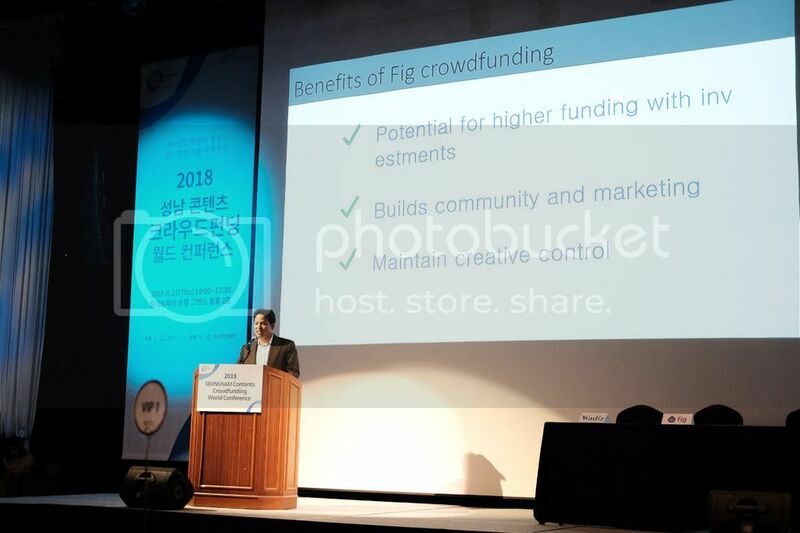 Businesses in attendance of the conference will not only receive opportunities for business expansion through crowdfunding, but will also receive opportunities for promotion, marketing, and consulting from the media, both in Korea and abroad, and from crowdfunding experts. Apart from that, 4 crowdfunding platforms presented case studies of their companies, giving useful information and insights on what crowdfunding can do and what their company is about. Fig is a Community Publisher that allows all gamers the opportunity to invest in the financial returns of the games they love. Fig was created to provide game studios and their fans a more balanced and sustainable approach to game development. Fig is changing how games get made by bringing together fans and investors for the first time. They want to grow the games ecosystem, inspire new community-informed, investor-backed titles, and provide a creative platform for studios to bring their ideas to the people who matter most—their fans. Find out more about Fig here. Wadis is an equity-type crowdfunding platform that is based in Seoul to provide solutions for startups and new business ventures. Some successful projects that they completed in the past include "Lab Nosh", a meal replacement, and a portable air purifier "Clair". Find out more about Wadiz here. Based in China, JD.com is a leading player in crowdfunding that has helped many startups raised funds. CAMPFIRE is a Japan-based crowdfunding platform that has seen remarkable growth since it started in 2011. 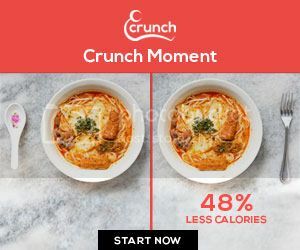 It has successfully crowdfunded for projects ranging from music, games, animations, publications, films, and various cultural contents, making use of social media channels and traditional media for their promotions. They have plans to partner with Korea crowdfunding platforms like Wadiz and Kakao to make their debut in Korea. Find out more about CAMPFIRE here. 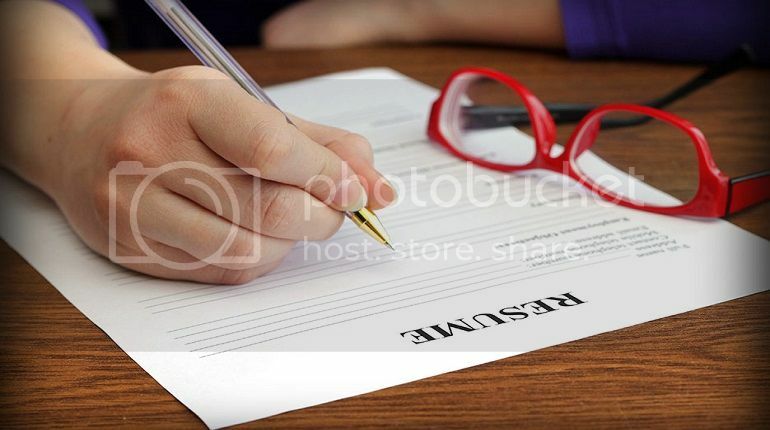 The platform companies mentioned above signed an MOU with the Seongnam Industry Promotion Agency. In addition, 6 companies, the 3 companies set to present the case studies and the 3 crowdfunding consulting companies, KSEED, Intween, and WinnersLab, operated the 1:1 crowdfunding consulting for the conference participants. Director Jang Byeonghwa of the Seongnam Industry Promotion Agency said that, "He hopes that, as a forum of free discussion and content, the conference will contribute to many participating companies," and that, "We will give emotional and material support in various aspects so that excellent companies in Korea will be able to expand into the global market." Let us know your thoughts on crowdfunding in the comments below! 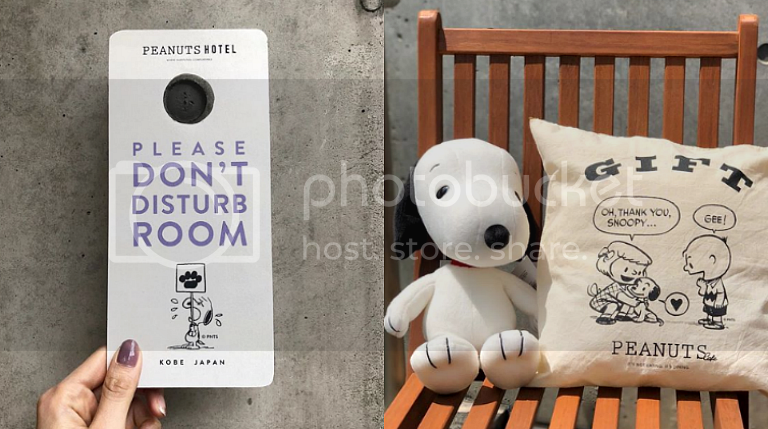 Snoopy Themed Hotel Debuts in Japan This August!